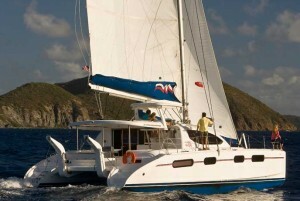 Length Overall : 46' 4"
Sail Area : 1,442 sq. 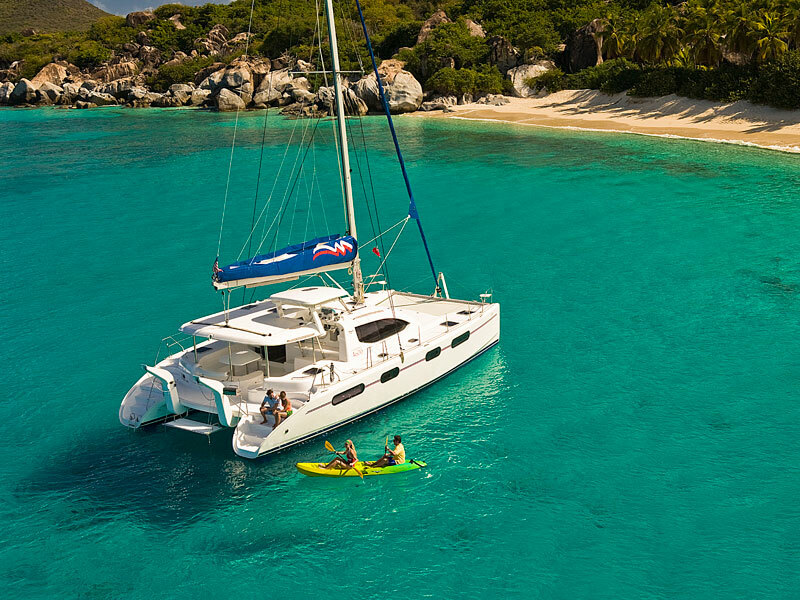 ft.
A Moorings 4600 catamaran is a true blue-water cruiser featuring a self-stacking mainsail with integral sail cover, roller-furling genoa, and twin 55 hp diesel engines. 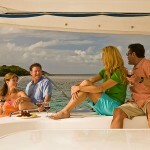 An electric windlass with handheld remote makes anchoring easy. 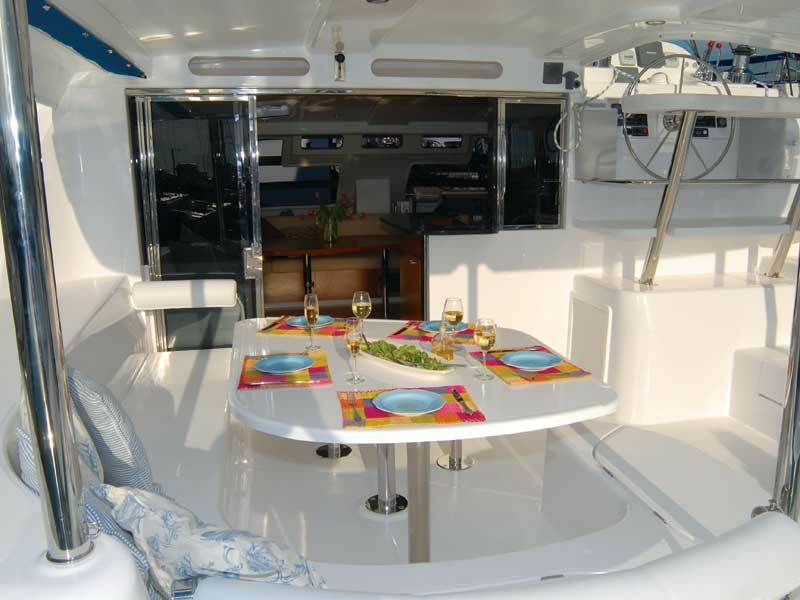 The raised helm station is at the forward end of the spacious cockpit and above the cockpit’s hardtop roof, providing 360 degrees of visibility. 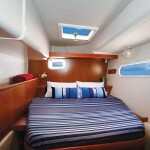 A hardtop bimini shades the helm. 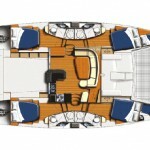 The cockpit has walk-through access to the swim platforms, a full electronics package that includes a color chartplotter and autopilot, stereo/CD player speakers, a large table, and lots of seating. A wide door opens to the luxurious saloon. 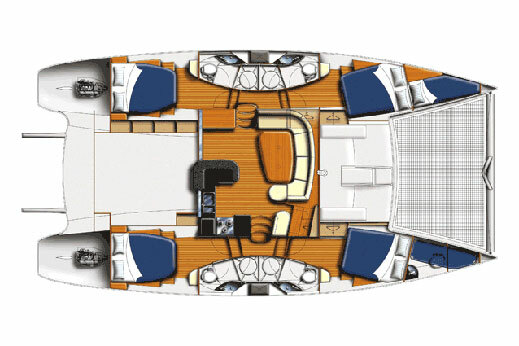 The saloon features a plush U-shaped settee and a large dining table with seating for eight that converts to a double berth. 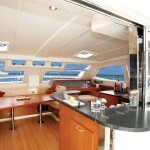 There’s also a flat screen TV/DVD player. 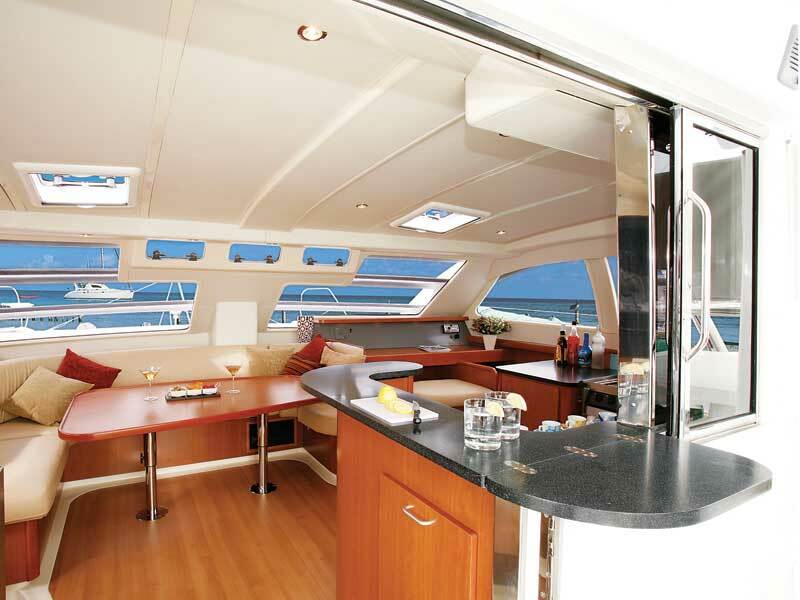 The galley has all amenities and plenty of counter space. 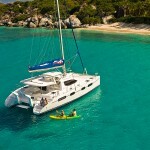 The yacht has four luxurious double staterooms with dressing areas and en suite electric heads and separate shower stalls, and forward in each hull are single berths. 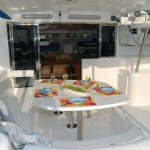 There is ample storage space throughout. 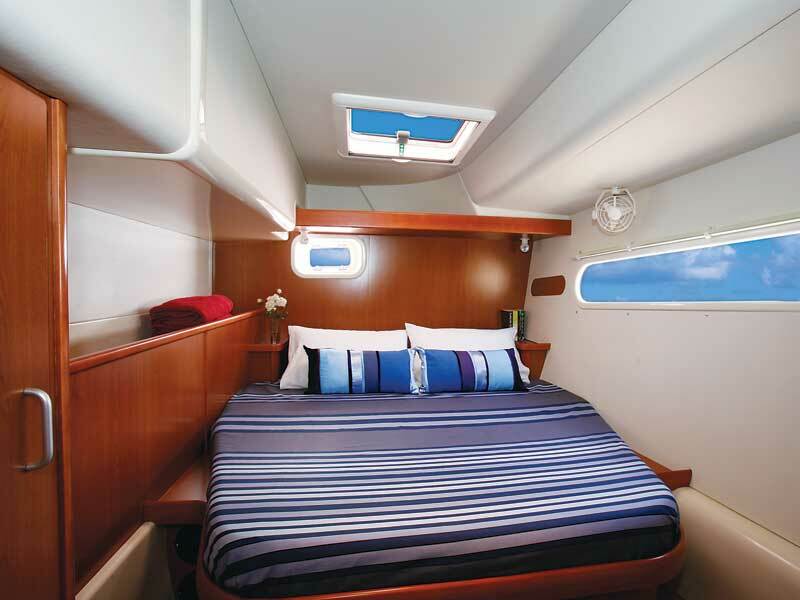 Three separate air-conditioning units keep the cabins cool and comfortable, and numerous opening ports and hatches provide superior ventilation. 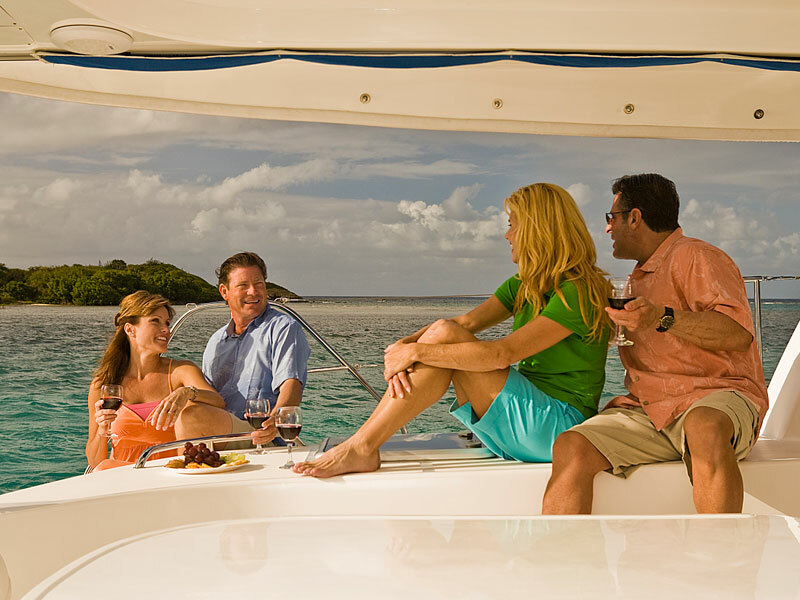 The yacht is equipped with a powerful generator.